In the latter half of 2006, McKibben helped lead a five-day walk across Vermont to demand action on global warming that some newspaper accounts called the largest demonstration to date in America about climate change. Beginning in January 2007, he founded stepitup07.org to demand that Congress enact curbs on carbon emissions that would cut global warming pollution 80 percent by 2050. With six college students, he organized 1,400 global warming demonstrations across all 50 states of America on April 14, 2007. Step It Up 2007 has been described as the largest day of protest about climate change in the nation's history. A guide to help people initiate environmental activism in their community coming out of the Step It Up 2007 experience, entitled Fight Global Warming Now, was published in October 2007 and a second day of action on climate change was held the following November 3. In 2007, McKibben published Deep Economy: the Wealth of Communities and the Durable Future. It addresses what he sees as shortcomings of the growth economy and envisions a transition to more local-scale enterprise. March 2008 saw the publication of The Bill McKibben Reader, a collection of 44 essays written for various publications over the past 25 years. He is a frequent contributor to various magazines including The New York Times, The Atlantic Monthly, Harper's, Orion Magazine, Mother Jones, The New York Review of Books, Granta, Rolling Stone, and Outside. He is also a board member and contributor to Grist Magazine. 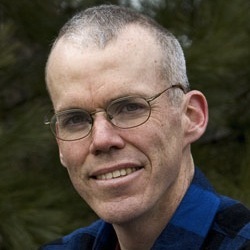 McKibben has been awarded Guggenheim and Lyndhurst Fellowships, and won the Lannan Prize for nonfiction writing in 2000. In 2011, he was elected a fellow of the American Academy of Arts and Sciences. He has honorary degrees from Green Mountain College, Unity College, Lebanon Valley College and Sterling College.